Three small children have given the internet the best Rammstein cover of all time. Rammstein is a German industrial metal band described by guitarist Paul Landers as "on the fringes of bad taste," famous for its faux-fascist, militaristic imagery, excessively pyrotechnical stage shows and overt, bizarre sexual content in its videos, album covers, and stage shows, which have resulted in more than one overnight stay in jail for band members. Theatrics notwithstanding, it's a pretty good band, although I'm not sure if anything it's done can compare with this cover by ten-year-old Stefan, eight-year-old Olga, and five-year-old Cornelia for sheer, balls-to-the-wall awesomeness. The kids don't just cover the Rammstein track "Sonne," they absolutely kill it. They rock it so hard it reaches into the fifth dimension. I think this may be the greatest thing ever, or at the very least the coolest YouTube video you're likely to see all day. And be sure to watch it all the way to the end - trust me, it's worth it. 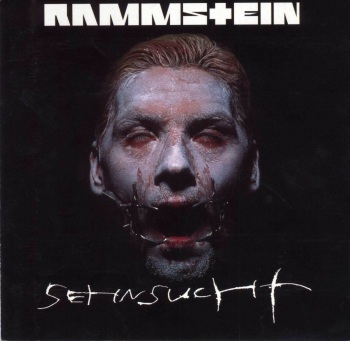 Oh, and if you'd like to compare, here's the original Rammstein video "Sonne" on YouTube. And how do the parents feel about their kids love of Rammstein? "Some of their videos we don't like, some of the lyrics also, but overall their music, with that unique combination of immense power, tension, glorious themes and subtle infusion of good taste romanticism, makes them the best musicians of the past 20 years," they wrote. They added that the kids aren't forced to play or perform for the internet, and in fact only practice for an hour a day; they even point out that Cornelia - the five-year-old, bear in mind - "has her talents, but is not the best drummer, at least not as good as that boy Igor Malecki from Poland." I don't know this Malecki kid, but I bet he doesn't rock out as hard as this.